Wow. Super super clean. Location and views were incredible, it must be one of the best accommodations I’ve ever stayed at. Very very relaxing and conveniently located to all the attractions. Don’t even second guess it, just stay here. Also the hosts are very friendly and accommodating! Nice property with fresh, clean rooms. Central spot for driving to a number of sights in the southeast Peloponnese. The pool exceeded expectations. 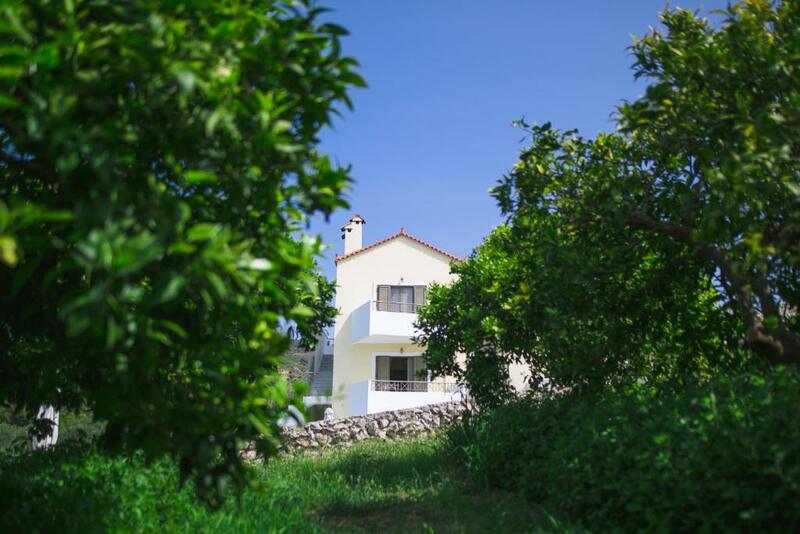 Great villa with splendid family accommodations. Very clean and well kept with a beautiful pool. The views from the hills above Nafplio were spectacular and we still had easy access to the city. A great family run and family friendly hotel. The view/ location was perfect for our trip from busy Athens. Good location, great view, quiet, clean. The host was super nice and helpful. The whole facility is new, very well built. Very clean and spacious room. We got the 2 bedroom apartment and it was really comfortable. Ideal for families. Very polite staff and owners, they happily responded to all of our requests! The pool was fantastic and very clean! Very quiet and relaxing place. Nafplio is 15min away. Very nice room. Clean and nice balcony with a view. Good air condition. The family were so nice. The pool is great with a wonderful view. Short drive to Napflio, nice place to be at night. The family that owns this property is simply wonderful. Very personable and always on hand to help with any questions or needs. The location is simply spectacular and the pool is amazing. Just far enough to escape the noise and bustle of Nafplio, but close enough to get there in no time at all. Lock in a great price for Anassia Villas – rated 9.4 by recent guests! Located on a verdant hill, with a view of the imposing Palamidi and the town of Nafplio, Anassia Villas is just 4.3 miles from Nafplio. The complex has an outdoor swimming pool and a spacious, covered parking. Anassia Villas offers a tranquil environment and enchanting landscape, either from the balcony of the guest’s room or from the swimming pool. Accommodations at Anassia Villas is air-conditioned and comes with spacious living spaces with kitchen, fireplace, and flat-screen TV. The large balcony offers views over the city of Nafplio. Breakfast is served in the rooms and includes rusks, marmalade, honey, and three different types of coffee. Guests can walk among the picturesque streets of Nafplio or Ancient Tiryntha just 2.5 mi away. Nearby beaches include the Arvanitia beach, just a short walk past the harbor, or the sandy Karathona beach, approximately 6.2 mi away. When would you like to stay at Anassia Villas? 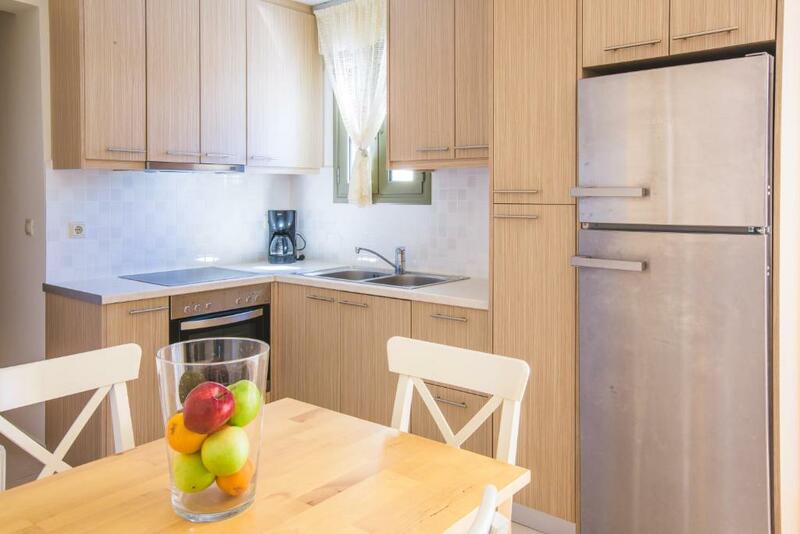 Studio with a fully equipped kitchenette. This superior studio has a separate bedroom and a living room with fireplace and a sofa bed. 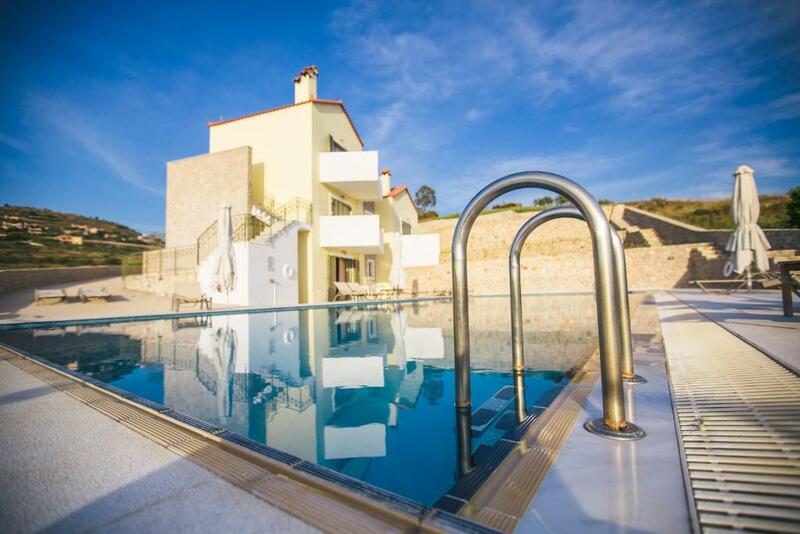 Το Anassia Villas δημιουργήθηκε με μεράκι από μία ελληνική οικογένεια που μέλημα και χαρά της είναι να κάνει τη διαμονή των φιλοξενούμενών της ευχάριστη. Να μπορούν κάθε στιγμή να νιώσουν οικεία και ζεστά. Αγαπούμε τα ταξίδια και τη φύση, τις ήρεμες διακοπές και την επαφή με τους ανθρώπους. Είναι όλα όσα θέλουμε να νιώθουν και οι πελάτες μας. Κάθε στιγμή είμαστε διαθέσιμοι να σας εξυπηρετήσουμε. Στο κατάλυμά μας θα απολαύσετε την ηρεμία της φύσης μακριά από τη φασαρία της πόλης. Βρισκόμαστε σε κοντινή απόσταση από σημαντικά αξιοθέατα όπως το αρχαίο θέατρο της Επιδαύρου, ο αρχαιολογικός χώρος των Μυκηνών και το ιστορικό κέντρο του Ναυπλίου, σε απόσταση μόλις 150 χλμ από την Αθήνα. Μπορείτε να απολαύσετε τον ήλιο και τον καθαρό αέρα και να χαλαρώσετε στην πισίνα μας σε ένα περιβάλλον που περιβάλλεται από δέντρα. House Rules Anassia Villas takes special requests – add in the next step! Anassia Villas accepts these cards and reserves the right to temporarily hold an amount prior to arrival. Please inform Anassia Villas of your expected arrival time in advance. You can use the Special Requests box when booking, or contact the property directly using the contact details in your confirmation. 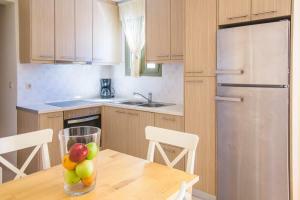 Excellent view, beautiful studio with everything you need and a welcoming family hosting. The view gives you the feeling of looking into a beautiful painting with orange plantations and the Palamidi castle in the background. The studios at Anassia Villas are beautiful with everything you need including breakfast treats with delicious eggs, honey and cake. A welcoming family wants to make your stay the best it can be. And it was! Definitely recommend to stay here! We came to relax and explore Nafplio (only 10 minutes by car) and the area around it and had a wonderful time! Thanks for everything! A few more nights stay. Unfortunately we had to return home. 1 - view from the appart very different in comparaison to the booking website despite a specific demand I have done to have an appartment with a beautiful view on booking website without answering from anassia villas host who gives us an appartment with a bad view. So we very disappointed. 2- Moreover the breakfast was simple. We had handmade cake and jam but no fresh bread, no milk no yogourt or oranges juice (anassia villas is in the middle of orange fields!). 3- and To conclude, it was too expensive for the proposed services in comparaison to other locations near nauplie. Breakfast in your room is fairly limited. We had 2 eggs in the frig to cook, juice and mainly some prepackaged food items for our breakfast. It was fine for us but some people may desire more. The apartment was in a very good condition and very clean. The breakfast was okay. The pool was very clean (we were there in beginning of October, so it was a bit cold for us :) ). Nafplio is approx. 10 minutes away and everything can be bought there, good taverns and many little shops to discover. We really liked the quiet, lonely apartments to calm down and relax. Many thanks to Thannasis and his family for the stay, we felt very welcome. 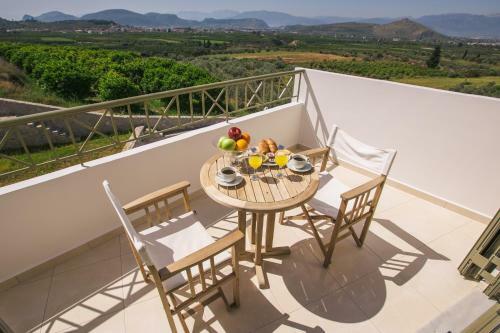 Wonderful home owners (a family), smartly designed place with large parking, clean and modern apartment in front of the pool, with a beautiful view of the countryside and Nafplion. Everything was perfect. Beautiful pool area, super clean inside and out, friendly professional staff. Greeted on arrival, everything fully explained. Peaceful, relaxing location. The location of the appartment. A clean swimming pool with a nice view. A very clean appartment with a nice balcony. Arounded by people who respect the silence and each other. Hard to mention anything, but perhaps some more shade around the pool and on the bacony would make it perfect. The friendliness of the hosts, the family atmosphere, the quietness, the pool, the view, and the unsolicited and unexpected daily stocking up of the fridge. Everything we needed upon arrival was there, of which we specifically mention the watermelon in the fridge and the homemade cake. Overall we enjoyed our stay and the property itself, but a few gripes guests should be aware of: The hotel feels very isolated, surrounded by farmland, some trash covered roads, and a tiny, not particularly charming village. A drive to Nafplio is required for food and drink, unless you want to stock the kitchenette (which will also require a drive to the supermarkets in Nafplio). The breakfast is not really "served," it's just prepackaged breakfast foods they provide with the room upon check-in. Finally, views should be good, but are inconsistent from room to room because some are obstructed by other villas or retaining walls. A bit of a dice roll on check-in.